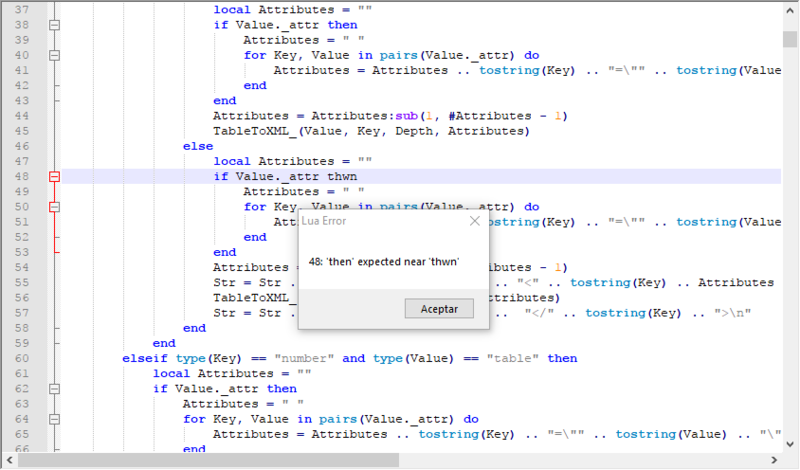 Note: This plugin only check syntactic errors on code, its not aware of programming errors. Knowing that I put the msvcr120.dll file In the system folder "System32" or in "C:\Program Files\Notepad++"
But it not makes sense that it MSVCRT120D.dll that means DEBUG but plugin isnt compiled on debug and also /MT what should include all CRT runtime and not need external install. By this last modification it works fine without any MSVCRT120D.dll files "very good Pablo Gracias"
i Can Call this dll in AMS ? How ? 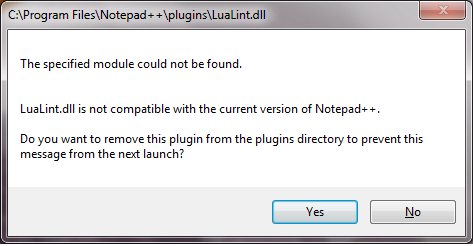 Because I want to use it with Scintilla Object Plugin So that this function can be called with DLL.CallFunction ? It will dump errors on code, thats the same way i use to get errors. // Ejemplo de función exportada. 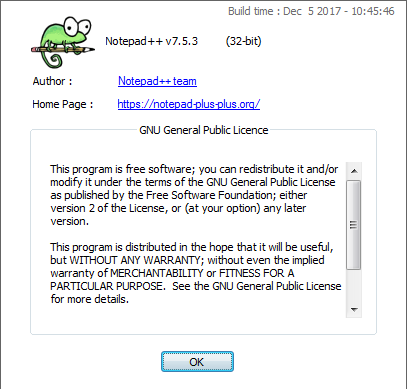 I sould did the same on notepad++ editor but i did it quick for me, didnt think about releasing it.